Sri Lanka is not fulfilling many of its international human rights obligations. Impunity remains the norm for gross violations of human rights, including alleged war crimes. Gross and systematic human rights violations continue to take place. Sri Lanka’s armed conflict ended in 2009, but its legacy of unlawful detention practices continues; arbitrary arrest and detention, torture and other ill-treatment and custodial killings remain hallmarks of Sri Lankan policing. The number of reports of enforced disappearances in the past six months is alarming; political activists critical of the state continue to be victims. Intimidation and smear campaigns against human rights defenders and journalists in government-owned newspapers have included attacks on individuals advocating for human rights accountability before this Council. Sri Lankan authorities circumvent or ignore protections built into the ordinary criminal justice system. Sometimes they act outside the law, more often they invoke security legislation to arrest suspects without evidence or warrants and to hold them without charge for extended periods. On 30 August 2011, the government lifted the state of emergency that had been in place almost continuously since 1971. However, the repressive Prevention of Terrorism Act (PTA), which permits extended administrative detention, was retained. The authorities also introduced new regulations under the PTA to continue detention of Liberation Tigers of Tamil Eelam (LTTE) suspects without charge or trial. The PTA reverses the burden of proof where torture or other ill-treatment is alleged, and restricts freedom of expression and association. Amnesty International has documented these issues extensively, including in submissions to the UN Special Procedures and in preparation for Sri Lanka’s upcoming Universal Periodic Review. During its first Universal Periodic Review in 2008, Sri Lanka committed to strengthening its national human rights mechanisms and procedures by initiating a national human rights action plan with targets to be achieved between 2009 and 2014. Progress on this commitment has been extremely slow. Although the National Action Plan for the Protection and Promotion of Human Rights was originally scheduled for implementation in 2009, it was only approved by the Sri Lankan cabinet in September 2011. A ministerial subcommittee was finally appointed to oversee its implementation in February 2012. The Action Plan contains important human rights commitments that would be valuable reforms if implemented; however, there has been little progress beyond the appointment of the subcommittee. Sri Lanka’s National Action Plan must not become yet another vehicle to evade international scrutiny and delay necessary reform. The resolution also noted with concern that the final report of Sri Lanka’s LLRC “did not adequately address serious allegations of violations of international law,” and requested the Government of Sri Lanka to address alleged violations of international law. Resolution 19/2 encouraged the Office of the UN High Commissioner for Human Rights and relevant special procedures mandate holders “to provide, in consultation with and with the concurrence of the Government of Sri Lanka, advice and technical assistance on implementing the above-mentioned steps and requests the Office of the High Commissioner for Human Rights to present a report to the Council on the provision of such assistance at its twenty-second session.” This point is critically important. Sri Lanka has consistently rejected an international role in human rights monitoring and accountability efforts and has refused to extend a standing invitation to UN Special Procedures. Amnesty International views such measures as essential to ensuring lasting peace, accountability and reconciliation in Sri Lanka. Resolution 19/2 was an important first step by UN member states to encourage Sri Lanka to pursue accountability for crimes under international law allegedly committed by its armed forces and the LTTE in the course of the conflict. Without international attention it is almost certain that Sri Lanka will not pursue these grave allegations. Failing to secure justice for survivors would be disastrous and would threaten future generations and institutions that are critical to protection of rights in Sri Lanka and internationally. The Human Rights Council and UN member states must persevere in encouraging Sri Lanka to improve respect for human rights through domestic reforms and to deliver justice for the victims of human rights violations. The UN must be prepared to act independently to end the cycle of impunity in Sri Lanka if the Government of Sri Lanka fails to do so. To date, Sri Lanka has not demonstrated that it has either the capacity or the political will to adequately account for alleged war crimes committed in the last stages of the armed conflict with the LTTE. 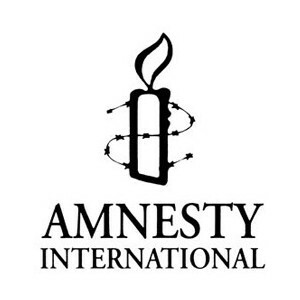 Amnesty International remains convinced that only an impartial international investigation into allegations of crimes under international law committed by both sides in the country’s armed conflict will do that. Ensure that security measures adopted in the context of armed violence comply with international human rights law. Release all individuals arrested under emergency or anti-terrorism laws, unless they are charged with recognizable criminal offences and remanded by an independent, regularly constituted court. Any trials must be held promptly and in regularly constituted courts with all internationally recognized safeguards provided and without recourse to the death penalty. Promptly implement the concrete human rights commitments contained in the National Human Rights Action Plan, particularly those that will protect against ongoing gross violations of human rights, and will ensure an end to impunity. Strengthen and ensure the independence of human rights institutions such as the National Human Rights Commission. Initiate and implement effective witness and victim protection. Initiate prompt and effective investigation of witness testimony and written submissions to the LLRC that allege violations of human rights or humanitarian law. Effective witness protection must be provided to all witnesses as the cases proceed. No amnesties should be considered or granted for perpetrators of violations of human rights or humanitarian law identified by the LLRC investigations, regardless of their status or role in the government. Immediately close all unofficial and secret places of detention and enact legislation to make it illegal to detain anyone in any place other than an officially recognized detention facility, acknowledged and accessible to families, lawyers and courts, as well as the independent monitors. Adopt measures to investigate, prosecute and punish those responsible for serious human rights crimes, such as enforced disappearances, in accordance with international norms and in a transparent manner. Facilitate without delay the visit requested by the Working Group on Enforced and Involuntary Disappearances. Implement the recommendations of the Special Rapporteur on torture, including to strengthening legal safeguards for eliminating all forms of ill treatment or torture in prisons and detention centres. Establish procedures in law to consider modalities for implementing the views of the UN Human Rights Committee.